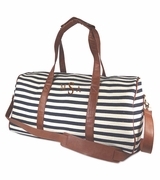 Monogram weekend duffle bag. For your next weekend trip away, choose a bag with class and style. A chevron design in turquoise and white. Lightweight micro fiber material completes this quality constructed duffel bag. 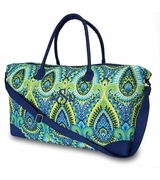 This duffle has great features... two outside zip gusset pockets and one full front zip pocket. Hand carry or over the shoulder detachable strap. 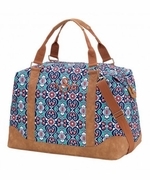 The bag is spacious enough to hold everything you need for a day away from home. 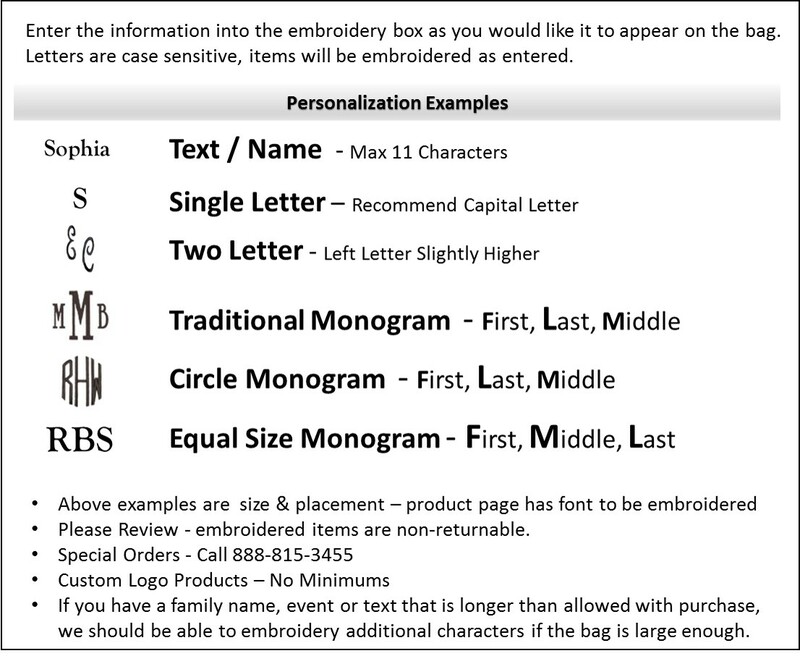 Monogram weekend duffle includes personalization with initials or name. 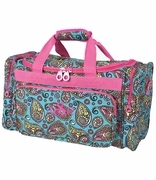 Duffel bag measures 20"W x 11"H x 10" across bottom. U-shaped zipper closure for easy access to contents.